My mother firmly believed that praying achieved impossible things. “விதியை மதியால் வெல்ல முடியும்” – or something to that effect. It means you can conquer Ms.Fate with Ms.Devotion Yes, everything is female for me. Female = Strength. Even God is female for me. And I love how Vidur says, “Oh my Goddess!” But I digress! 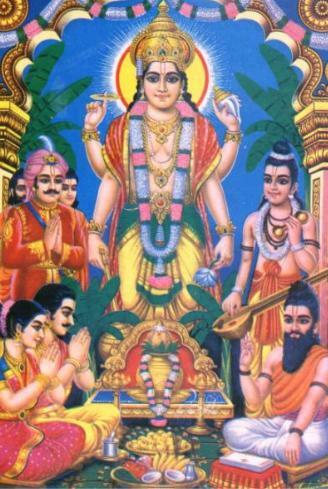 So – back in 2003, Mom prayed to Lord Satyanarayana, promising that she would do the Sri Satyanarayana Puja as soon as Vidur got admission into KVIISc in Std I. We were very keen on K V for many reasons. Mom had taught in a KV for over a decade and firmly believed that K Vs are best. Another valid reason was the fee structure. No donations involved, nominal fees – nominal compared with other schools and best of all, we were eligible since Sury is a central government employee. So when the day arrived for the admission lists to be put up, we were quite excited. The first list was at L V Hebbal where Vidur’s name appeared in the list. Mom was elated. Then KV IISc put the lists up and Vidur’s name was on that, as well. Now we were in the happy situation of making the choice about which KV to decide on. We decided KV IISc would be best, with Sury’s affiliation with IISc. Mom immediately started planning the Sri Satyanarayana puja – and we even got those little banana shrubs for the puja. We made a kalasam – and well – went by the book. We rushed out the previous day and got a big framed picture for the pooja. Very fulfilling experience – so fulfilling that Mom decided we’ll do it every full moon day. But maybe not on this scale. We decided to do the archanai with the relevant “ashtothrams”, 108 names – and then, with the “Neivedyam” (sheera), read the story. I still remember how keyed up Mom would be – while I did things with her on the side. 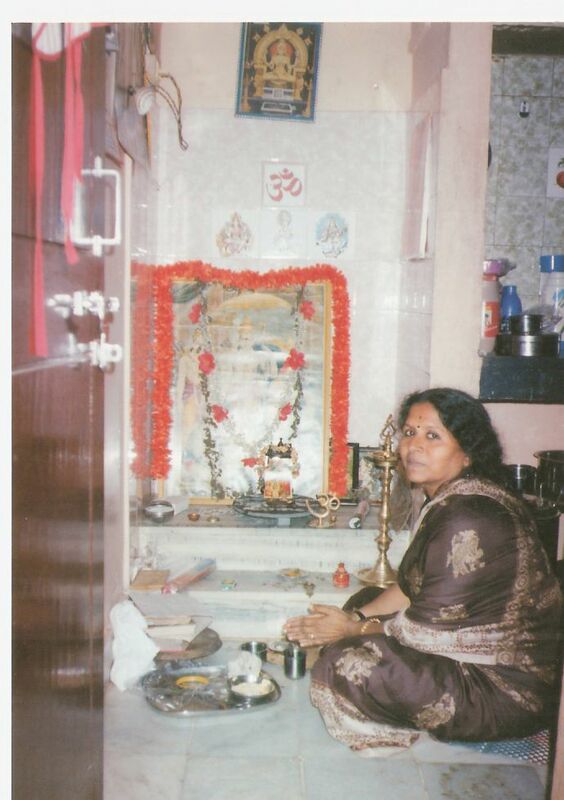 I can still hear her saying “Oru samayam….” – even Vidur knew some of the phrases from the stories by heart. We eagerly waited to eat the prasadam, of course. We would distribute the prasadam to all the houses in our building and also give it to whoever visited. Then Mom would love to talk about how well it all went – and keep praising me to glory – omitting no detail, however slight. Well, today is பௌர்ணமி – full moon day. When Vandana came to give me the prasadam, I almost heard my Mom’s voice telling me – if someone gives prasadam, we must immediately put some in our mouth. We miss her. This took me back to her Ramayanam stint.